After a few months of using the combination of bird deterrents, bird numbers were reduced. It was determined that they needed additional Handhelds. Sarajevo International Airport had a big problem. Many bird species were attracted to the airport, a situation which created safety issues for airplanes, passengers and airport personnel. 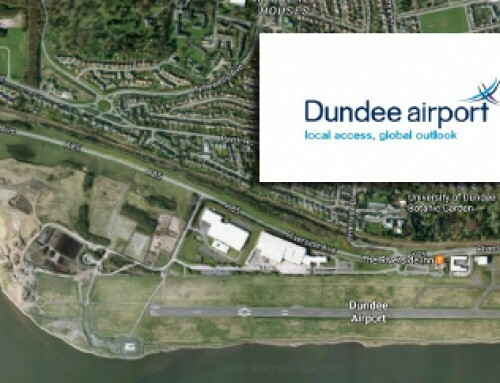 Airport management sought to avoid the most dangerous potential outcome caused by the high level of bird activity – bird strikes! 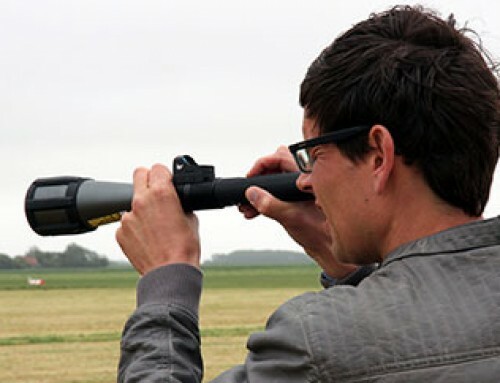 Bird control team of the airport uses gas cannon, pyrotechnics, loudspeakers for scattering of birds and shotguns next to the laser bird repellent – Aerolaser Handheld. This combination ensures safe aircrafts landing or taking off. When Sarajevo International Airport management heard about Bird Control Group and its product portfolio, they immediately started research on the technology. The bird repellents seemed effective, and the product testimonials illustrated that Bird Control Group customers were realizing just the sort of benefits the airport hoped to obtain through the use of bird deterrent lasers. The airport staff noticed that Aerolaser Handheld is very useful in combination with other methods the airport used and ordered two more Handhelds. Sarajevo International Airport, also known as Butmir Airport, is the main international airport in Bosnia and Herzegovina. 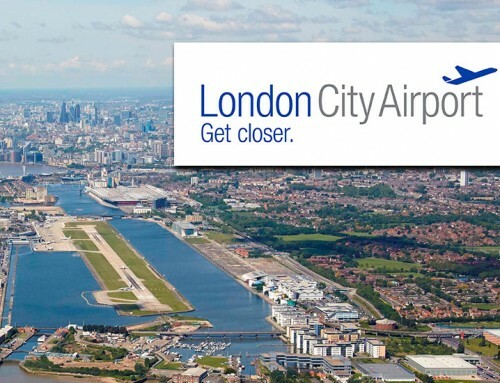 Although the airport is smaller than other international airports, it still hosts thousands of flights every year. Keeping the airport safe and clean is very important for the public’s safety; however, the large numbers and variety of birds perching at the airport made this goal difficult to achieve. 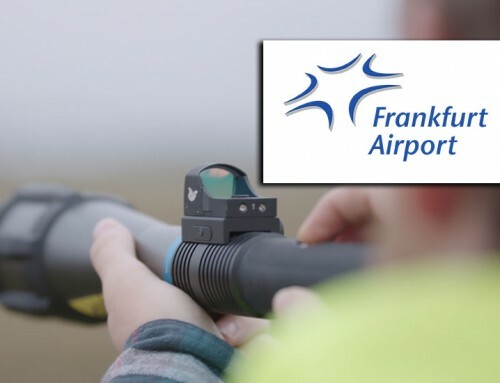 Airport Chief of Physical Protection Emir Valjevac and his team tried different bird deterrent devices, including: propane cannons, pyrotechnics, electronic repellers, and guns. 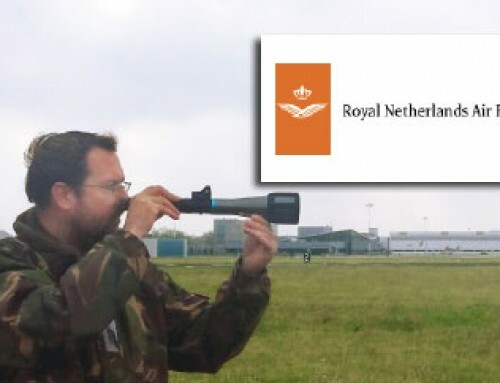 Admir Jusic, the airport’s Associate for Import and Public Procurement, had participated in a bird strike symposium a few years earlier, and had heard about Bird Control Group and the idea of repelling birds with laser technology. The principles of nature form the basis of Bird Control Group’s technology and products. By introducing one or more artificial “predators”, it is possible to reclaim a territory from birds. An approaching laser beam is just such an “predator.” When a bird perceives an approaching laser beam, its survival instinct is triggered, and it flees. When Admir’s research was complete, the decision to purchase an Aerolaser Handheld was made quite quickly. Admir’s colleague, Emir completed training on the safe use of the Aerolaser, and then he taught his colleagues. Emir stated, “They needed no more than five minutes of explanation of why and how to use the laser. That’s how easy it was!” The laser is used mainly during the daytime and early in the mornings, when it is most effective. After a few months of using the combination of bird deterrents, bird numbers were reduced. Admir and his team determined they needed additional units to achieve optimal long-term results, and purchased two more Handhelds. Admir believes that they get the positive bird repellent results and return on investment very fast!